EPDs are only as accurate as the people collecting the data. Gathering accurate data has become an obsession at Pedro's Angus. 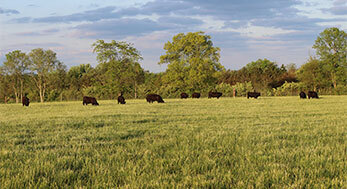 The integrity of our EPDs allows our customers to make sound management decisions regarding their bull purchases. 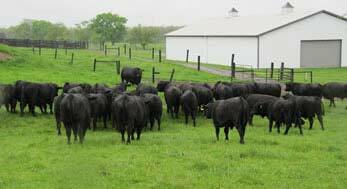 Angus bulls with balanced growth and carcass EPDs are the backbone of our breeding program. All sales are private treaty (sold at the farm). One-on-one visits provide you with the opportunity to make decisions with no pressure. 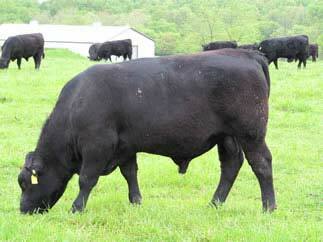 We encourage buyers to examine not only the bulls but their mothers and herd mates, as well. 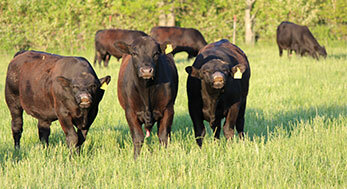 Our bulls are balanced for: low to moderate birth weights, good dispositions, high growth and positive carcass traits. 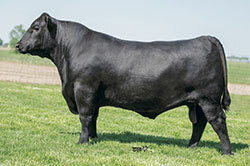 Please feel free to call or email for information on our current listing of bulls. Also, remember we will house at no charge until you are ready for our free delivery. 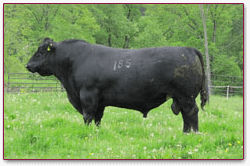 All bulls have DNA parent verification on their registration papers. 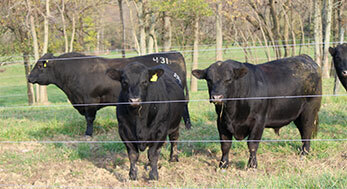 Stand Off: A herd Bull confronted by 50 young bulls, divided by a small temporary electric fence. The young bulls decided to retreat.